An impactful eCommerce strategy will help you sell more products with dynamic SEO, social media, and content marketing. This holistic approach is how Volume Nine builds brands, grows traffic, and increases conversion rates. Competition for the top organic ranking is high, and Google changes the rules daily, so you need an eCommerce SEO Agency who keeps up with the latest digital techniques. Your marketing team is also busy producing daily social content and handling customer service issues, so you need an eCommerce Social Media Agency that can provide additional Social Media strategies for challenges you might be facing. Ecommerce SEO Strategy and Optimization: Understand how your audience searches online throughout the consumer journey process– from general queries to specific categories to product keyword searches. Content Strategy: Optimize and develop website content that matches your target audience search intent and encourages them to click-through to your website to learn more about your products. Social Media & Influence: Leverage social media strategies to grow your community’s size and brand engagement while promoting products and special offers to increase sales. Reporting: Establish a data-driven reporting process to measure the success of your marketing across multiple channels, segments, and campaigns. Lets Talk About Growing Your Online Sales! eCommerce websites are complicated. They must remain secure, are driven by large databases and often feature multiple 3rd party system integrations. And that’s just the beginning. When considering the hundreds or thousands of products that must be placed into categories and sub-categories, while maintaining a fully-functioning faceted search, the complications continue to grow. But fortunately, Volume Nine speaks this language. As eCommerce SEO experts, we use our SEO Audit process to help you identify and prioritize the most important eCommerce SEO issues and opportunities including XML sitemaps, proper URL structure, and product review schema markup. Our eCommerce search optimization process looks at 60+ elements to help you build a prioritized list of on-site recommendations. Our search engine optimization process starts by making sure your website is easy to navigate and understand. With experience with many eCommerce platforms such as Shopify, Magento, Site Catalyst, Volusion, Netsuite and MarketLive, our team will develop an optimization strategy for your product, category, and brand page. This eCommerce strategy will not only target the right search keywords, but also ensure your content is unique and interesting enough to support the overall user experience. Our keyword strategy works the entire purchase/sales funnel by thinking about your consumers throughout the buying process. For example, your store should focus on consumers who are in-market while your blog and social media profiles should focus on introducing customers to your brand. Whether you have a blog or need to set one up, our eCommerce SEO service team will identify the target audience for your blog, establish brand guidelines and voice, and contribute or ‘ghost write’ for you. Our editorial calendar process identifies hot topics being covered in your niche, key subjects that need to be written about, and long tail keyword opportunities. Creating valuable content for your target audience builds your company’s authority and helps promote your website to complementary companies. Content developed for your blog can be used in email marketing, social media strategies, and for organic traffic increases. Building an online brand with authority is the key to having long term success in SEO. Our team has great success helping you create unique, relevant and interesting content for your audience, then amplifying that content online. It’s important to note recent algorithm updates have eliminated classic link building techniques used by SEO companies for years. Thus, our program is completely white hat and avoids these outdated tactics. Our innovative approach of showcasing your product and brand for influencers via high quality content will not only help your SEO, but increase traffic, sales, and social media engagement for your brand. 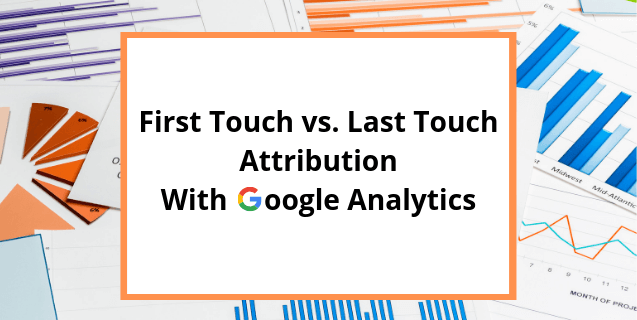 Our reporting provides monthly and weekly updates on important metrics about your search position, Google keyword impressions, and click-throughs. Not only can we help with Google Analytics and Tag Manager setup, but with our established Google API connections, we are able to categorize and store important information about your eCommerce website that is not available from Google directly after GA stopped reporting on keyword traffic. With integrations to SEMRush, Moz, MajesticSEO, Shared Count and other tools, our reports give you access to important SEO Metrics and compares them to your top competitors. Our content scoring tools continuously monitor how well your keywords are supported and what type of engagement is occurring through Page Metrics. Use our proprietary scoring process when you build a new page or write a new blog post to ensure that you are supporting SEO with all of your new content. Let's Set Up A Time To Talk! How Did You Hear about V9? Volume Nine provides digital marketing services that increase organic traffic for our B2C & B2B clients. We use SEO, Content Marketing, Social Media, and Web Analytics to help brands improve the bottom line contribution from their organic channel.